After an extraction for the treatment of a dry socket. 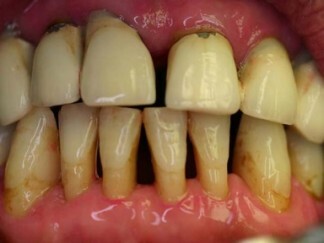 After a filling for the adjustment of a high spot. Recontour of oral and associated tissue not described elsewhere in the Schedule. This is sometimes called gum sculpturing for cosmetic purposes. This is where excessive gum tissue is removed for a better appearance of the teeth. This maybe covered by item numbers items 231-238 which are for gum disease surgery. These item numbers will be covered in a future blog post. An item number used to identify dental treatment not elsewhere described. Adequate written description of the service is needed. This is everything else not quite covered under all the item numbers that exist. This usually occurs when a new treatment technique is being used but it has not yet had an item number created for it. This is the item number of last resort! This item number is for accounting systems cannot calculate GST for nonclinical components. Some items that attract GST include, would you believe it, mouthguards, and written reports (018) not addressed to a referring practitioner involved in the patient’s care. They don’t consider these as part of clinical or ‘’appropriate treatment’’ of the patient. Well that’s the tax system. Virtually all dental treatment is GST free, unless it is not “necessary for the appropriate treatment” of the patient. Well, I won’t comment on that! Note: Well that’s all the item numbers for now. Every so often new item numbers are made and some items are removed. This is the world we live in, where the only constant is change! In the future blogs some of the item numbers will be expanded with more explanation and new item numbers will need to be added since the blogs were originally posted. That’s life – a work in progress! 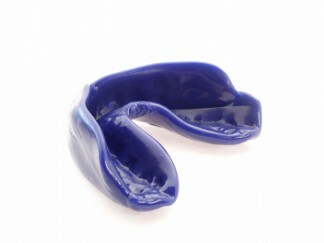 Mouthguard - Add GST! Exposed bone at the base of a dry socket	 Healthy gums after gum surgery, but the bone height is usually lost forever with gum disease!